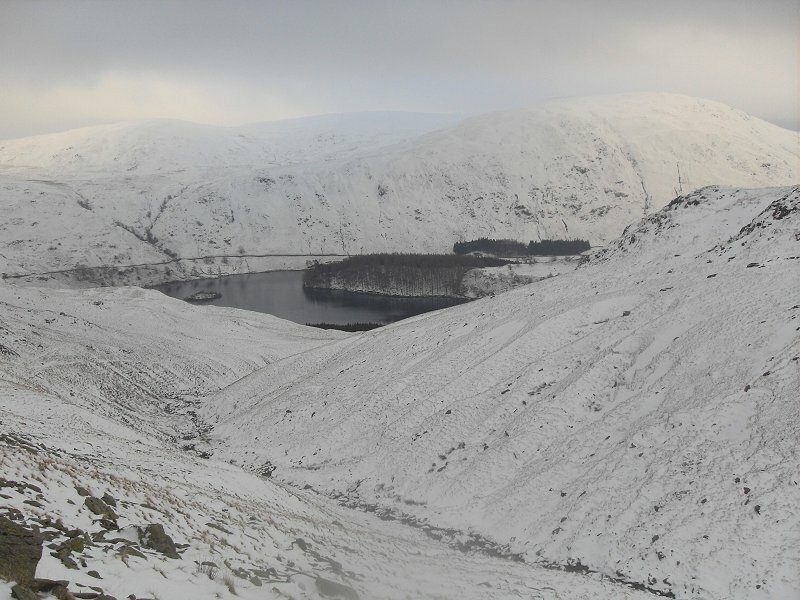 I only needed to bag High Raise to complete the Far Eastern fells and as I have never climbed the Long Stile ridge I decided to go that way. 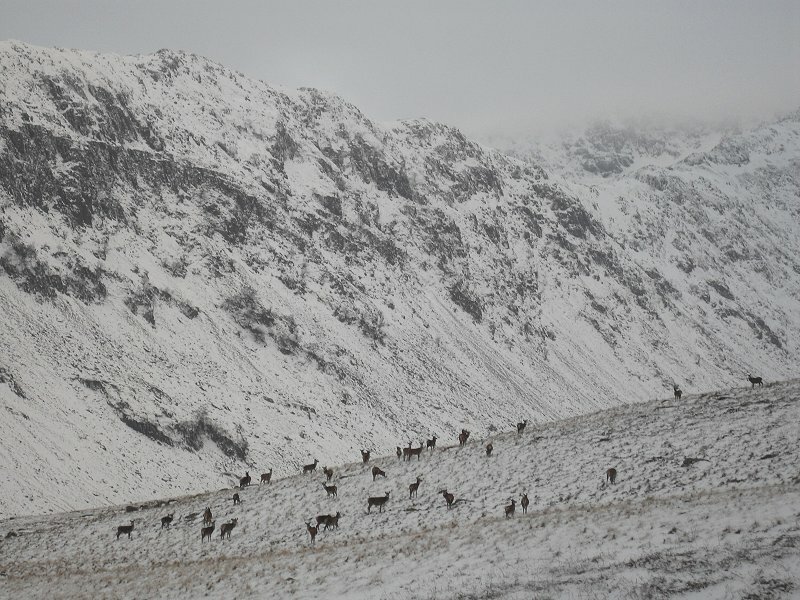 Unfortunately Tuesdays glorious weather had given way to dull skies and mist on the tops. 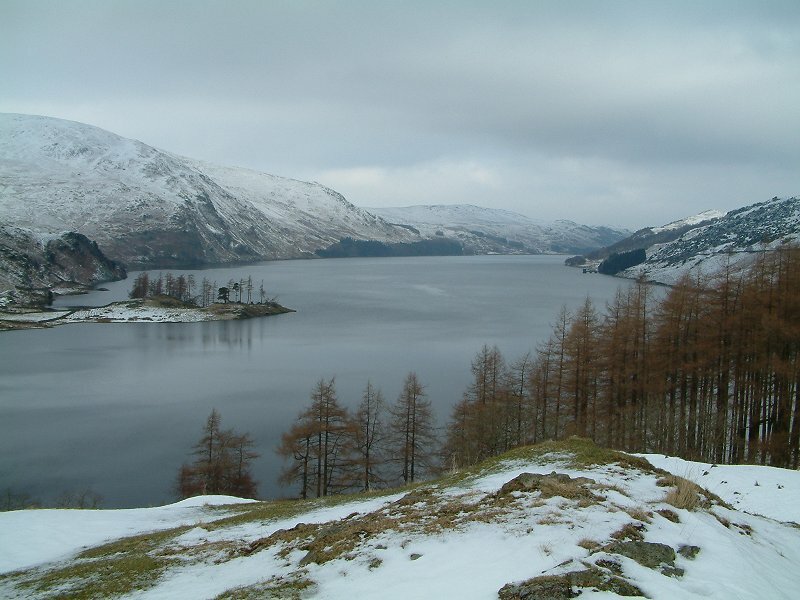 Haweswater from low down on the ridge. 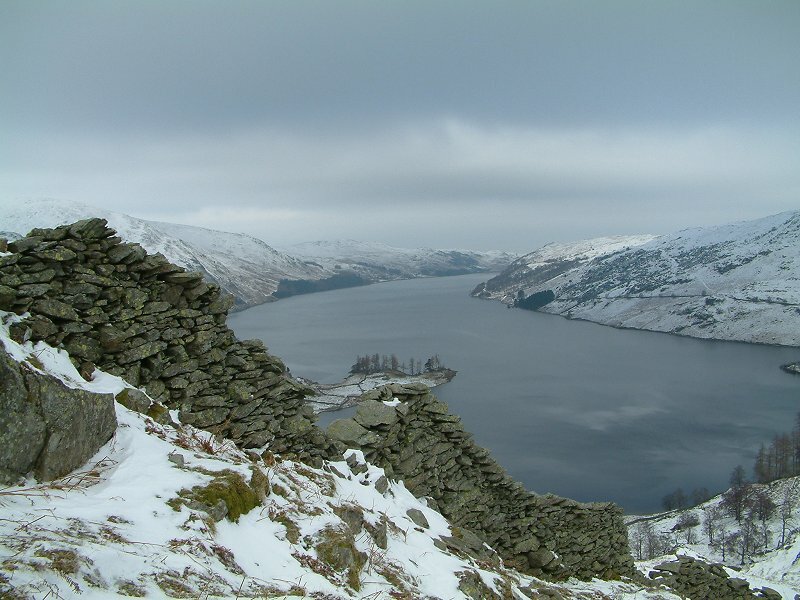 Looking up to Swine Crag..
Haweswater again from higher up. 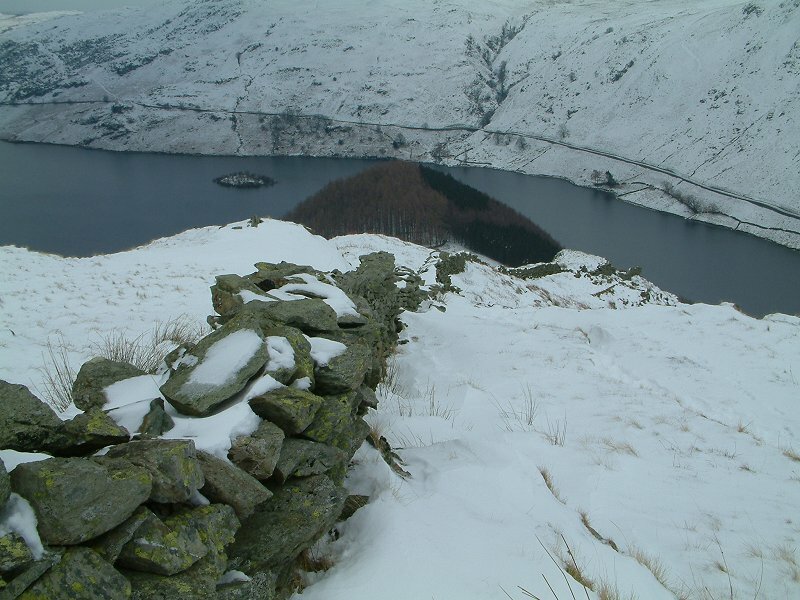 Looking back down the ridge to The Rigg. Blea Water just before I entered the mist. 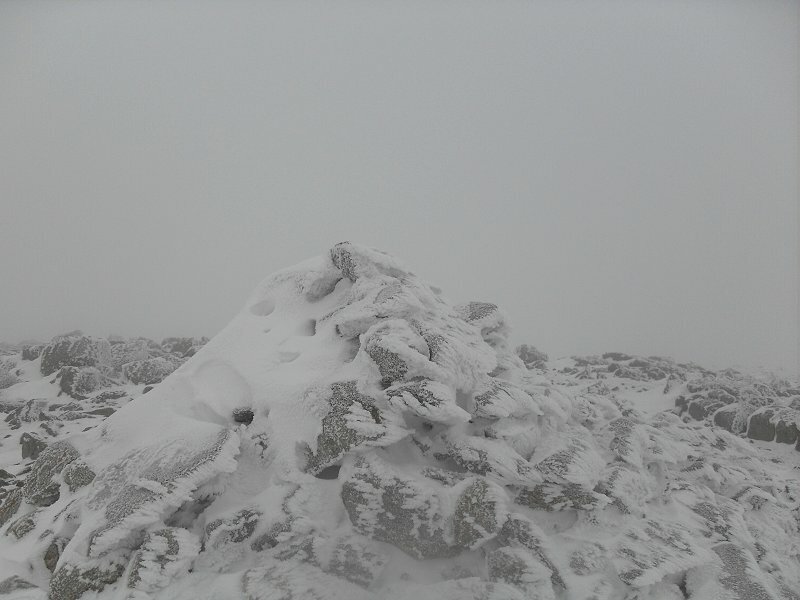 The climb up Long Stile was pretty difficult with very deep snow and almost no visibility, I was very relieved to see the big cairn at the top. 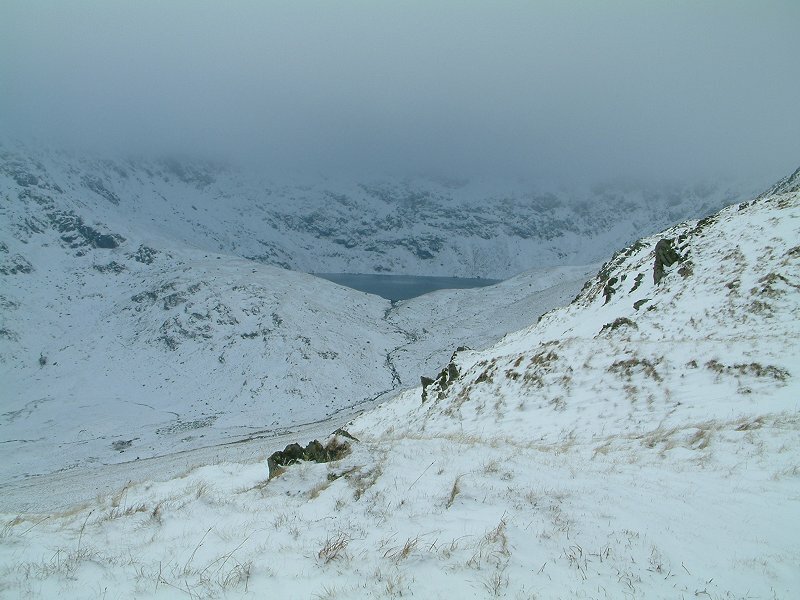 The walk up to High Raise was very surreal with absolute silence, no visibility and all the ground features lost in the snow. I think I now know what they mean by a whiteout. This is High raise summit cairn, needless to say I had it to my self. 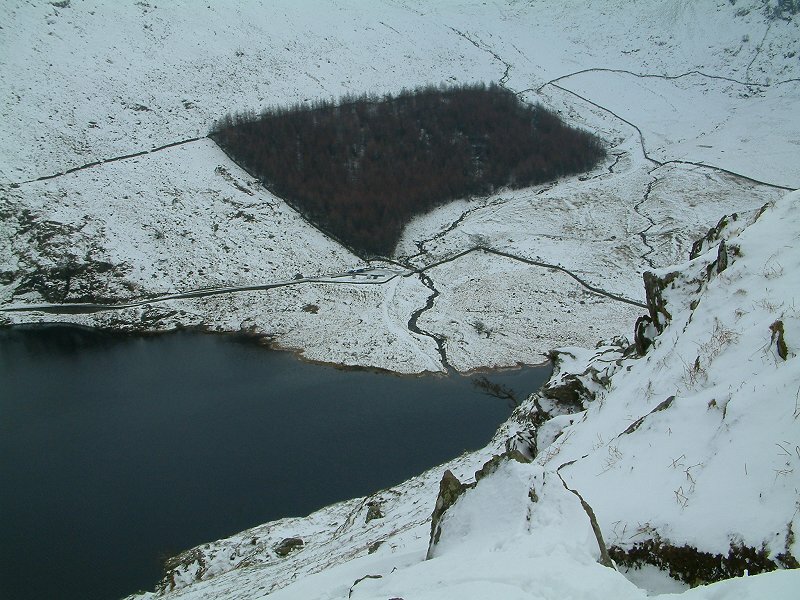 I headed for Randale beck which proved a reliable guide back to the reservoir. 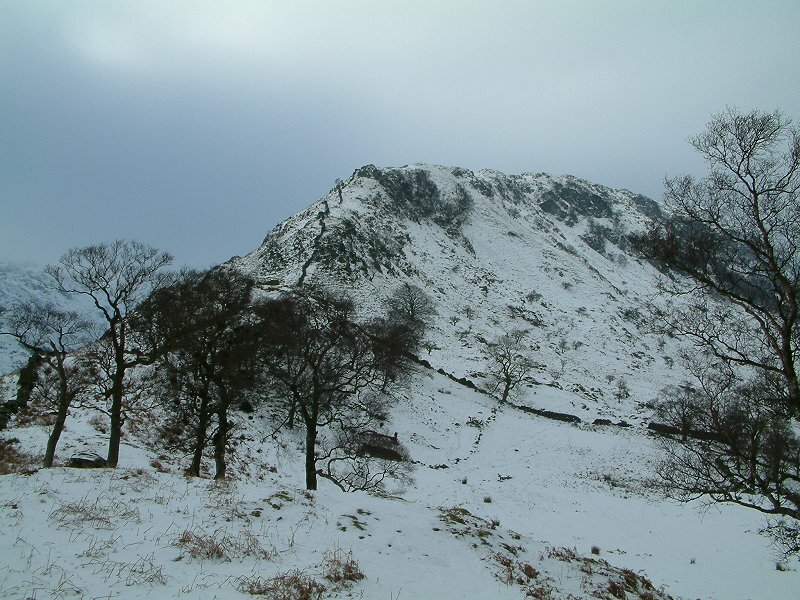 Here is the Rigg from the "other" side. 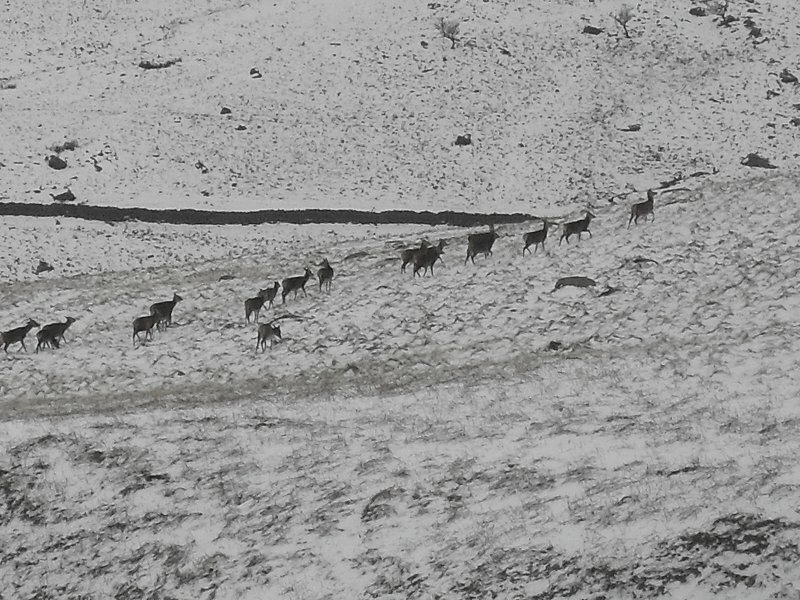 Just when I was thinking that the walk had been a bit of a waste (apart from adding to my experience of the conditions) a stag bounded across the path in front of me followed by the rest of the herd. Perhaps due to the still conditions they started grazing about 100 yards from me and I was able to get a couple of pictures. Zooming in on the herd.